The Washington State Medical Association (WSMA) advanced the Choosing Wisely campaign through its “Know Your Choices – Ask Your Doctor” campaign, a statewide effort to give patients and physicians tools and encouragement to talk about care choices — getting the right care, in the right place, at the right time. WSMA created a physician toolkit to encourage physicians to promote Choosing Wisely within their practices, among their colleagues and to their patients. The toolkit included patient-directed resources such as posters, flyers, brochures and billing stuffers, as well as resources to help physicians spread the word within the medical community, including talking points, a sample presentation, educational videos and sample social media tools. Through targeted specialty-specific emails, WSMA promoted the Choosing Wisely specialty lists, educational videos and other resources. Physicians were also engaged through webinars, statewide speaking opportunities and social media. 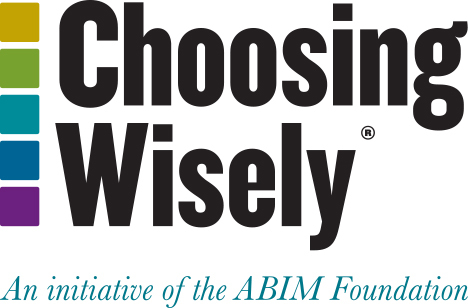 WSMA promoted Choosing Wisely in feature articles in its monthly newsletter, WSMA Reports and its bi-weekly Membership Memo. WSMA also engaged in extensive consumer awareness, including a Twitter Chat, where a WSMA physician answered questions about the American College of Obstetricians and Gynecologists’ recommendation around not scheduling early delivery. In addition, WSMA conducted an extensive digital media campaign that promoted Choosing Wisely recommendations through targeted Internet searches. The 10-week campaign resulted in over six million impressions, 8,500 clicks and 5.48% conversion rate. The Washington State Medical Association’s mission is to deliver strong advocacy that is patient-focused and physician-driven, working to help physicians deliver complete care patients can trust.